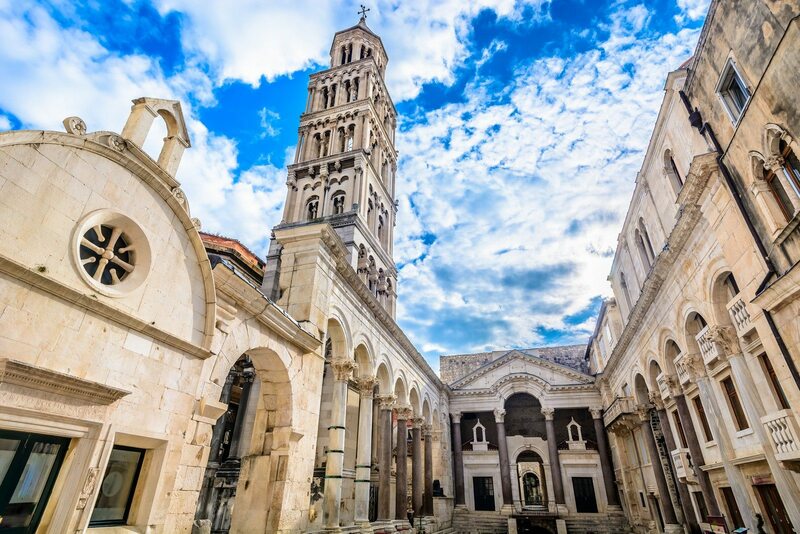 Diocletian’s palace – UNESCO World Heritage site, one of the most significant and best preserved structures of the late ancient architecture in the world. 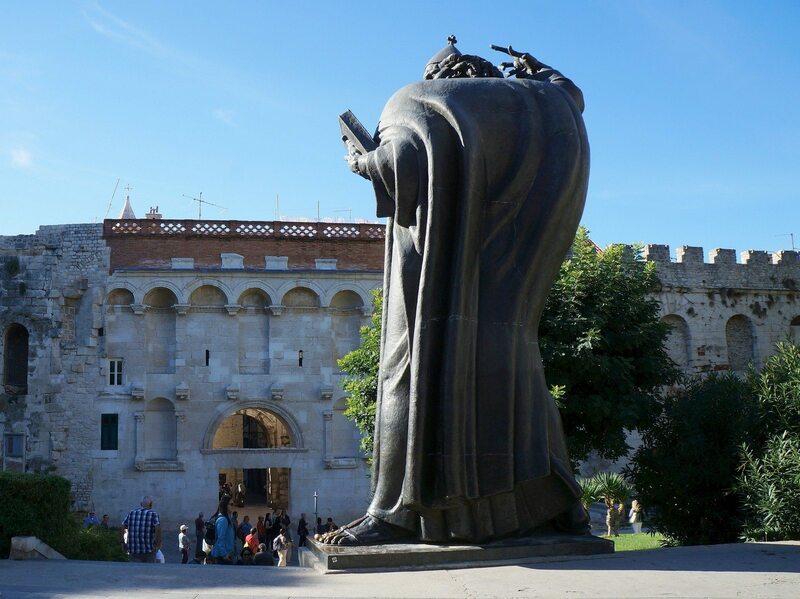 Palace is ordered to be built by the Roman Emperor Diocletian, finished at the begining of the 4 cent. 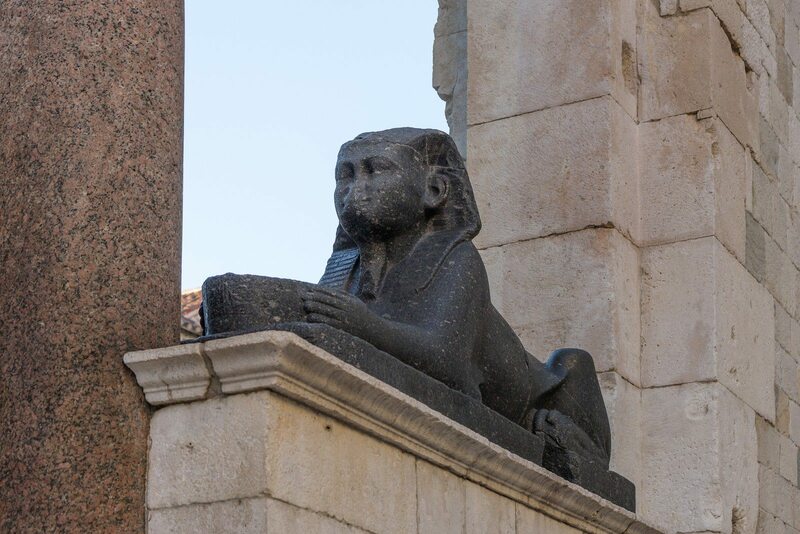 A.D.
Palace substructures – represent one of the best preserved ancient complexes of their kind in the world and are the main reason why the historical core of Split was in 1979 included on the UNESCO’S World Heritage list. Susbstructures are giving us evidence of the original shape of the emperors residence and distribution of the rooms above. 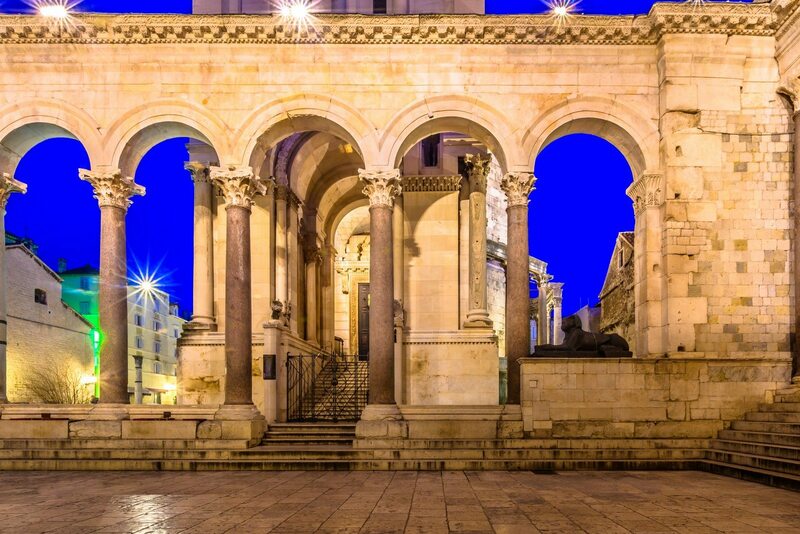 The Mausoleum/Cathedral – the former Diocletian’s Mausoleum is now cathedral of St. Dujam, one of the oldest cathedrals in the world and an outstanding cultural monument of Split. Peristyle, the central square of the Palace, intended for the Emperor Diocletian celebrated as the living son of Jupiter. 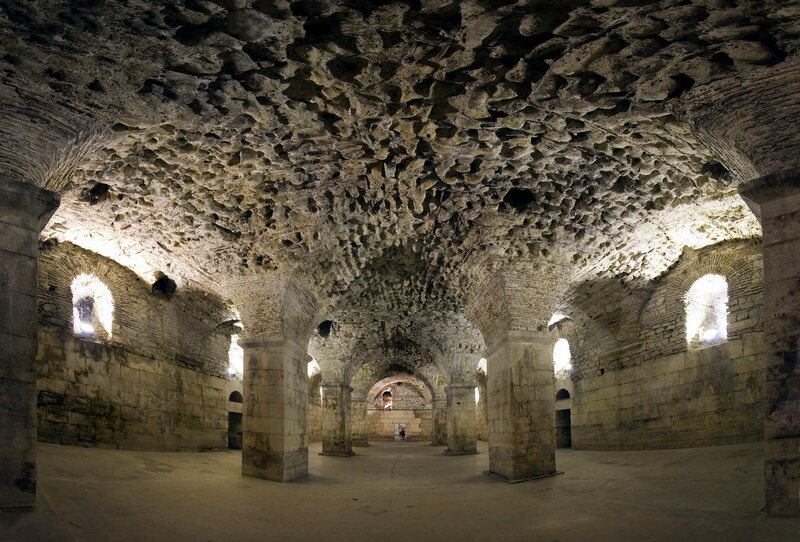 Owing to its unique beauty and unusual acoustics, Peristyle became the ideal theatre scenery. The Golden Gate – Northern gate and also the main entrance to the Palace, among the best preserved examples of its kind. 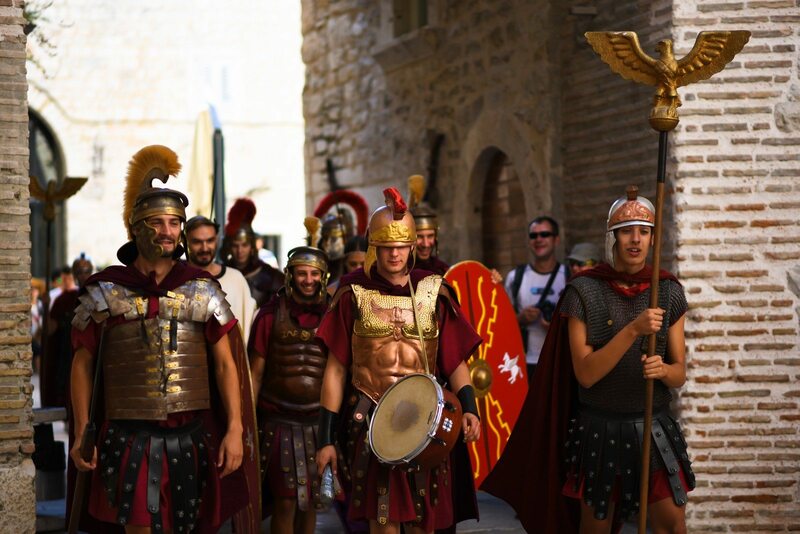 Your journey through ancient history starts with the story of Roman emperor Diocletian who was born in nearby important Illyrian center and the capital of the Roman province of Dalmatia – Salona. 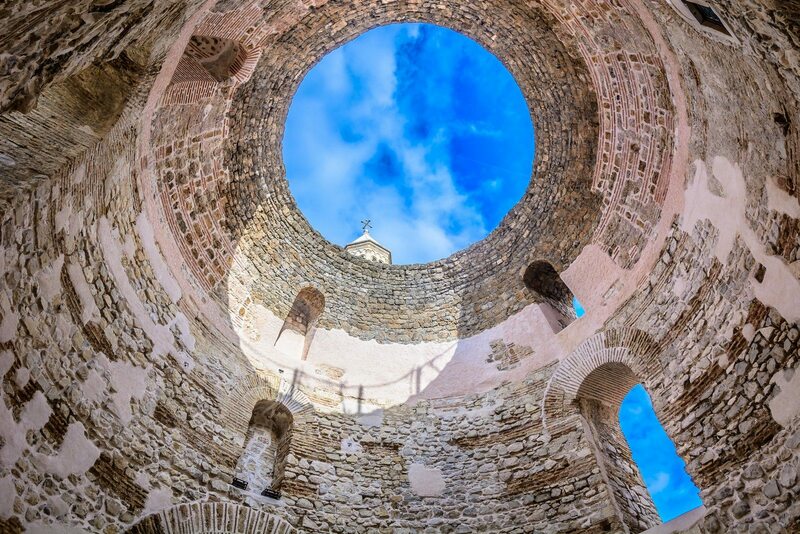 He build one of today’s most preserved palaces of that time in the nearby town Split. 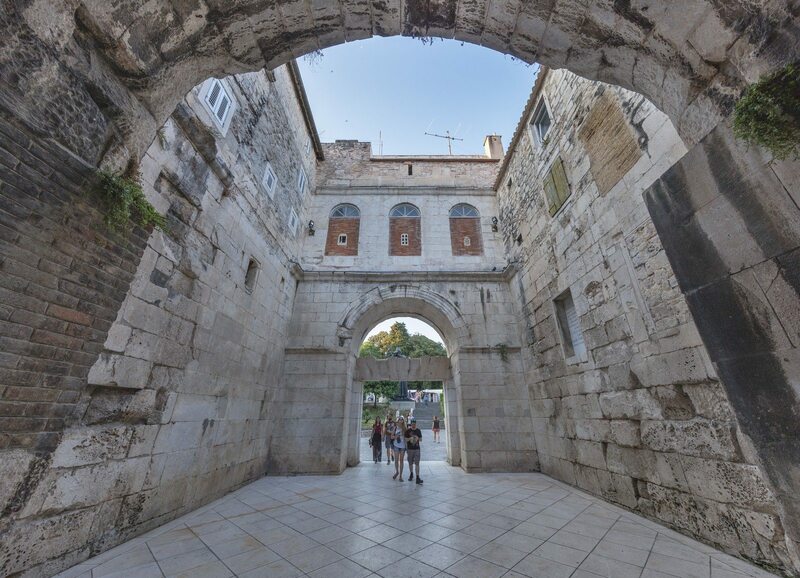 With professional tour guide we are continuing our journey and sightseeing the 1700 year old Diocletian`s palace, imagining how the life of Diocletian was like, within the walls of the palace. 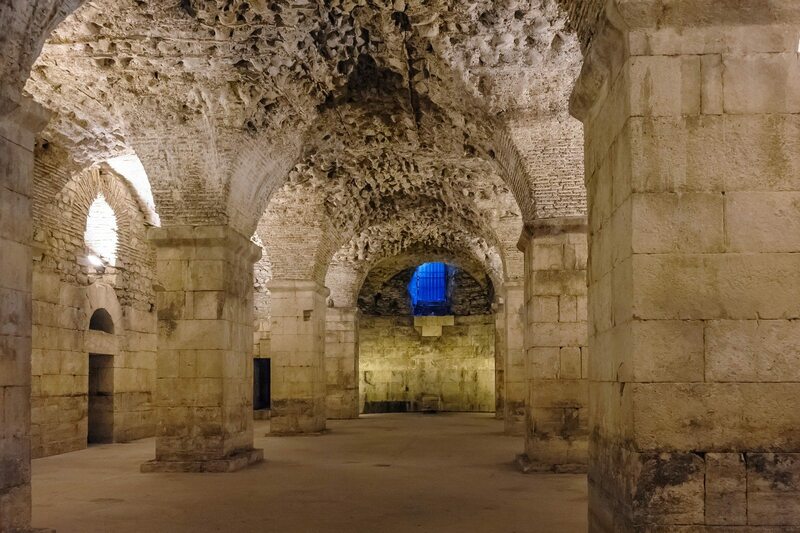 During the tour we walk throught central hall of the ancient cellars, main communication line between the Riva and the Peristyle, which is now full of life and an ideal place to buy valuable souvenirs. 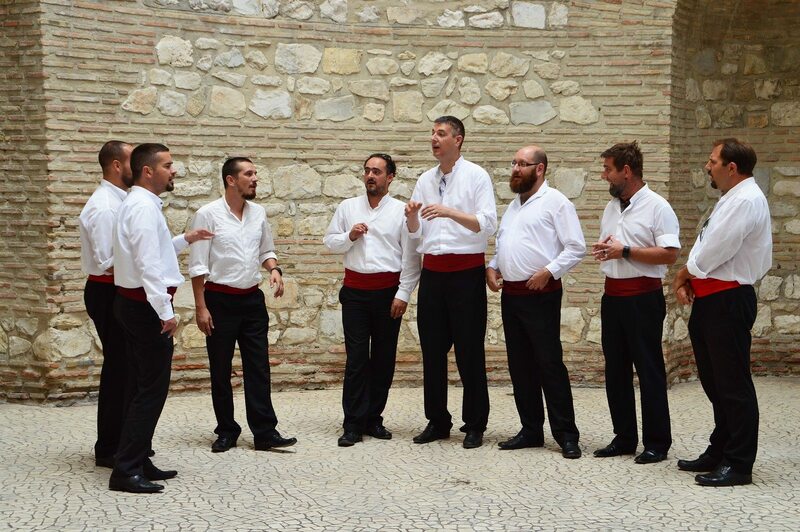 We also stop by to see the Cathedral of St Duje, one of the most beautiful cultural wonders on the Adriatic coast, Peristyle – impressive square in the center of the palace, Roman temples (today Christian ones), the famous Golden Gate and the big statue of Grgur Ninski. 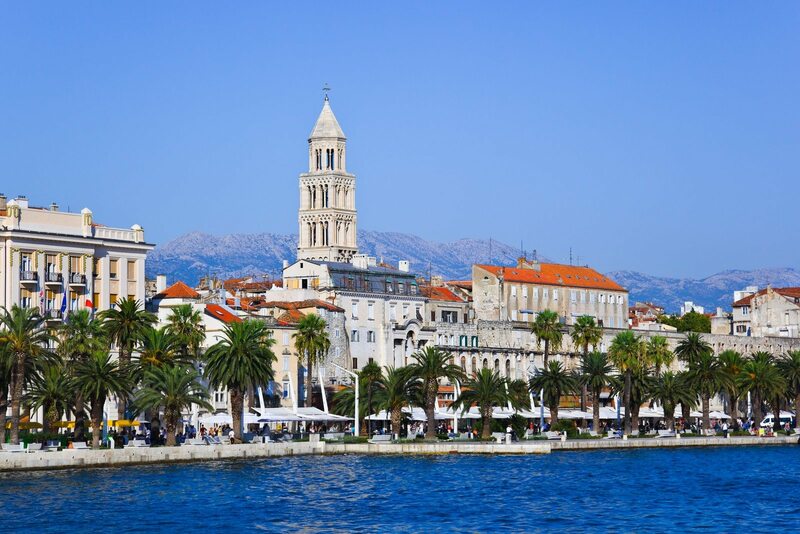 On this walking tour you will get to know Split town and its history in an interesting way. 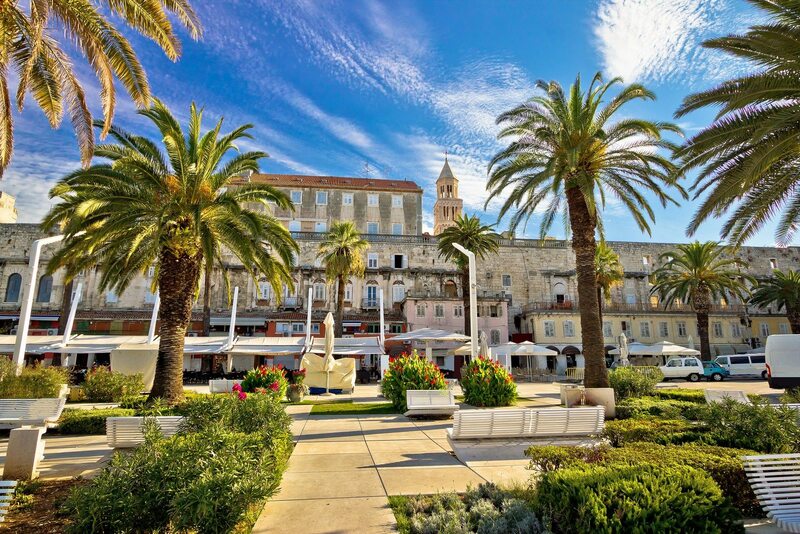 After this great history and culture lesson, you will have the opportunity to enjoy lunch in one of Split’s well known resturants and go on a shopping spree. Our guide will be glad to give you suggestions regarding restaurants and shops to make this tour a memorable one! Price includes: 1,5 h walking tour with an official English speaking tour guide (other languages on request). For groups larger than 8 people please contact us for an offer. We had a great tour of Diocletian’s Palace and the city. Our guide was very knowledgable and great at finding the perfect spots for pictures. It was so nice to have a private tour because all of the group tours we passed had people who could not hear their tour guide. Our tour guide knew many of the people in the shops, exhibits, and performing on the street. He was nice and introduced us to them which made our experience even more personal and enjoyable.